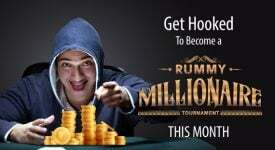 Hey, all you rummy players! What’s your plan for this Valentine’s day? Have you already planned a big surprise for your partner or still in dilemma whether to take your love for an expensive moonlight dinner or late night show for a romantic movie? Well, you can gift something much more fascinating and charming which we guarantee you your loved one will never forget. 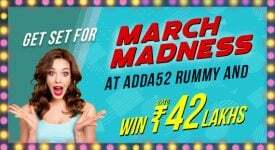 Celebrate this Valentine Day with Adda52 Rummy with a bang! Adda52 Rummy invites rummy players across the country to celebrate this day of love by playing “Valentine’s Day Tournament” a grand online rummy event and win the amazing prize of two tickets to one of the most romantic destinations in India- Goa. The tournament will happen on the website on 14th of February at 3.30 p.m. where the first prize winner will get free flight tickets and stay for 2 nights and 3 days for one couple in GOA. The total prize pool of Valentine’s Day tournament is 2,00,000 ( Based on the value of the first prize which is coming to around 50K). Tournament registrations are open from 5th February. Valentine is the priceless occasion to relive the thrill and passion of love and bonding which two people share. Let your partner know how much he/she means to you by celebrating your relationship at the gorgeous and romantic locations of Goa. Make one of the best investment of your life by playing on Adda52 Rummy this Valentine and take home the exquisite reward for your better half. What’s more, you can enter in this tournament with just 1 of your loyalty points. All information about loyalty level program is available on the website. Valentine’s day is really a big deal for anyone who is in love! 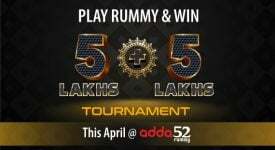 Adda52 Rummy understands and shares the feeling of excitement and celebration mood of every rummy player who wants to make this special day more special and unforgettable for his/her beloved one. Our team is dedicated to consistently offer the best tournaments and promotions with huge rewards to our loyal players to double their happiness and give them another great reason to celebrate. This time, we are delightful to announce this astonishing tournament to pay homage to this beautiful day. It is a great opportunity for every rummy player to participate in the event to win this romantic holiday trip and gift it to someone special. 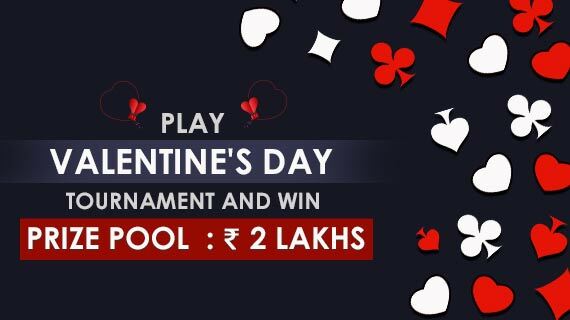 If you are away from your partner this Valentine, plan your date with Adda52 Rummy and join the tournament to show your love and admiration for your favorite game as well as to win your share from the massive prize pool. So, don’t waste time! 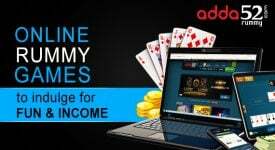 Log in to your Adda52 Rummy account and book your seat to play the Valentine’s Day tournament. What are your thoughts about this phenomenal tournament? Feel free to give your valuable feedback in the comment section below.